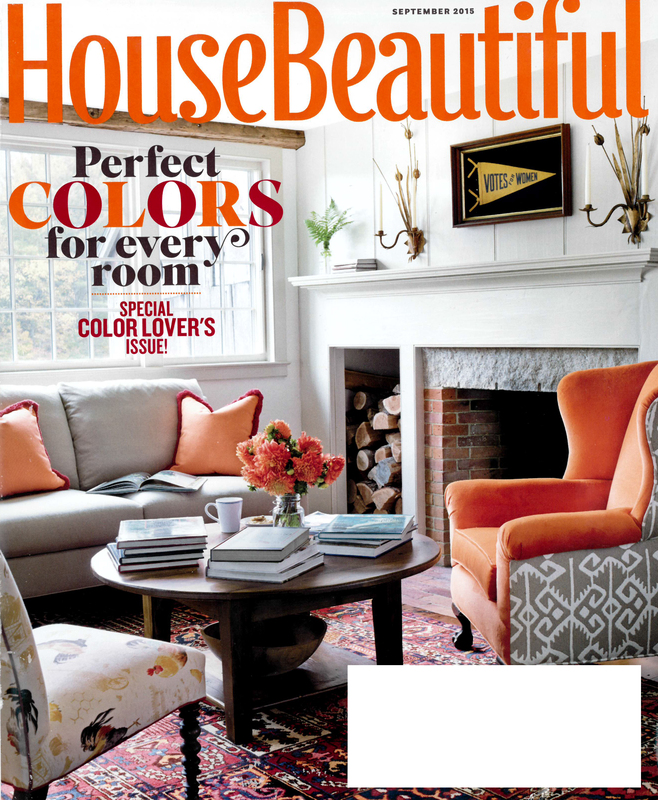 A Grothouse Live Edge Countertop is featured in the September 2015 issue of House Beautiful magazine’s Kitchen of the Month. 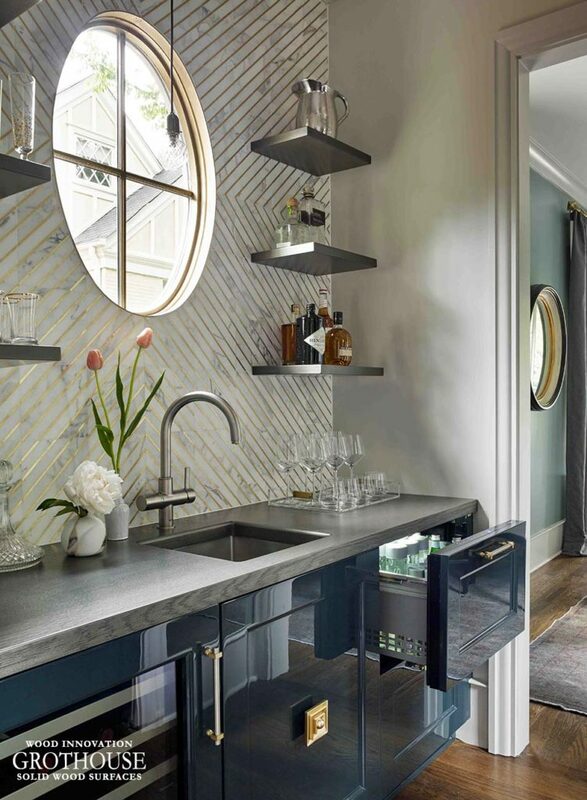 The kitchen was designed by Christopher Peacock for the 2015 Kips Bay Decorator Show House. 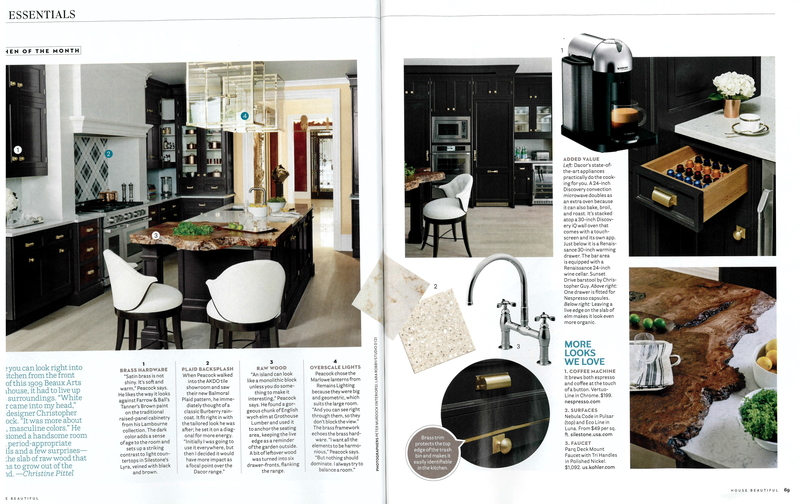 The two page spread in House Beautiful talks about the details of the kitchen. 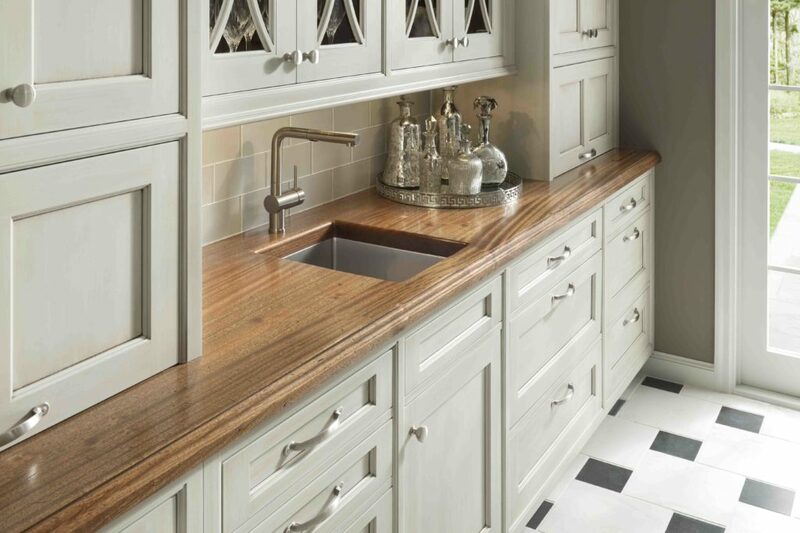 The live edge countertop is marked as number 3 titled ‘Raw Wood’. Peacock said, “An island can look like a monolithic block unless you do something to make it interesting.” The spread can be seen below. Christopher Peacock used the Kips Bay Show House to experiment with color and texture. The kitchen includes espresso Lambourne cabinetry with English Wych Elm drawer fronts custom crafted by Grothouse from left over pieces of the live edge counter. 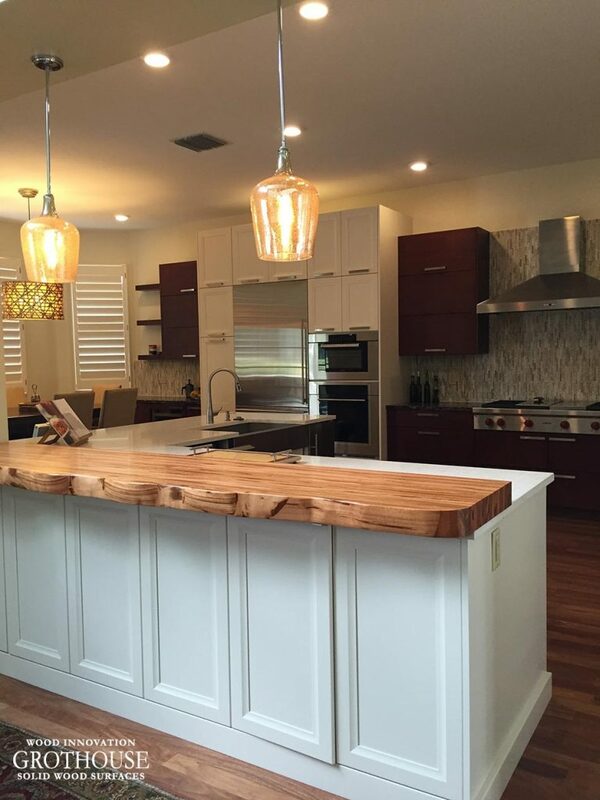 The kitchen featured a Live Edge slab of English Wych Elm custom crafted by Grothouse. 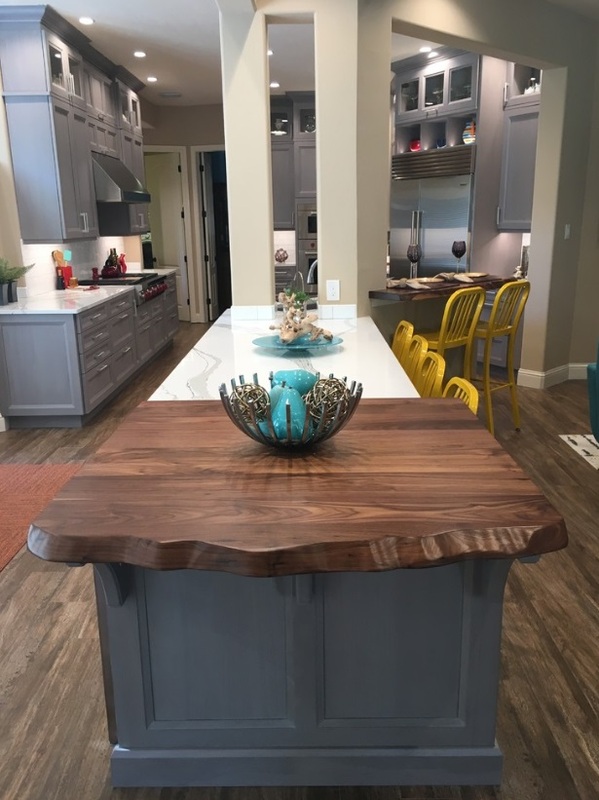 The live edge countertop spills over the center island as an extension of the Silestone countertop. 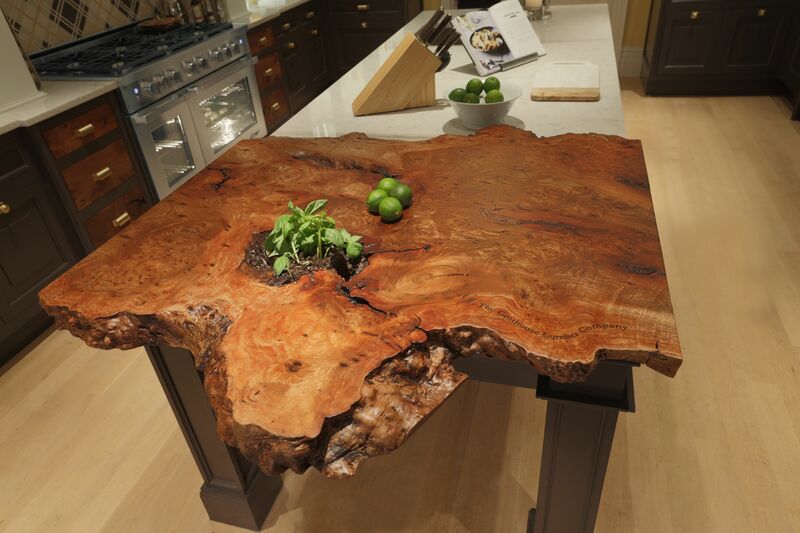 Live Edge Countertops embrace nature with their unique organic shape and characteristics. Live edge refers to the bark side of a piece of lumber. Christopher Peacock used the Live Edge Countertop as a reminder of the garden outside. 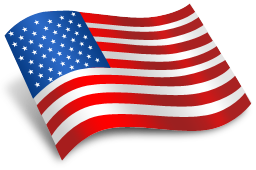 The countertop measures to be approximately 40 inches x 45-3/4 inches. It includes a 12 inch Round Routed-in Bowl. 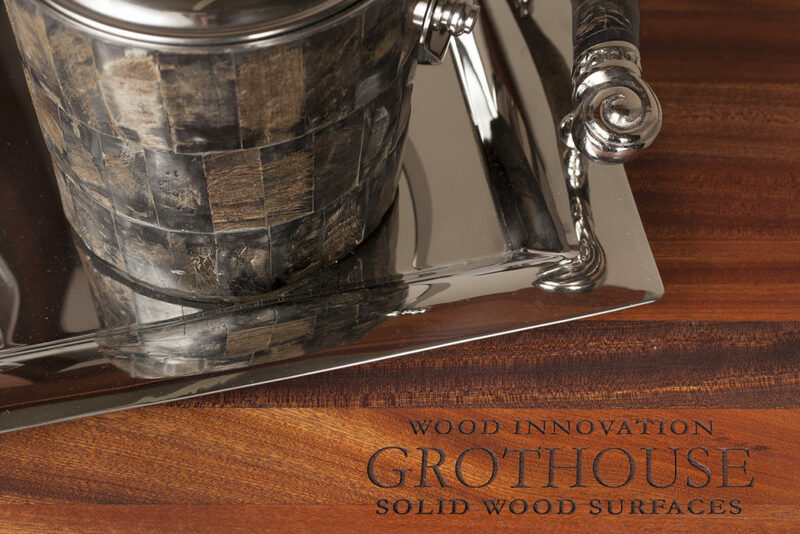 The countertop is sealed with our exclusive Durata® Waterproof Permanent Finish in Matte sheen. 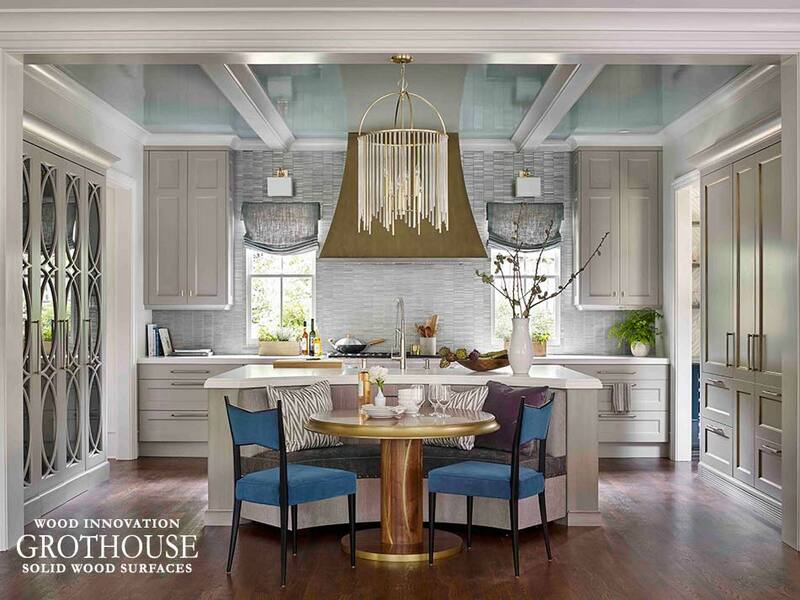 To learn more about this kitchen design pick up a copy of the September 2015 issue of House Beautiful Magazine! 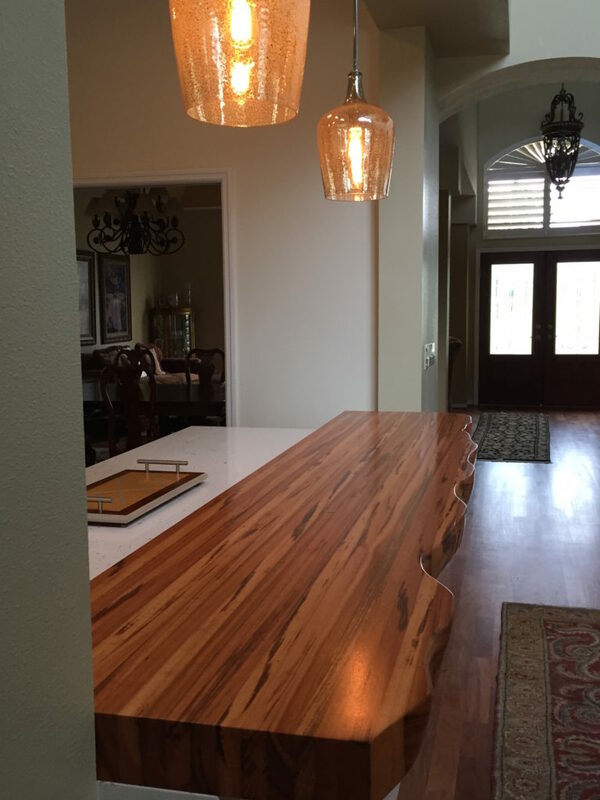 More information about the live edge countertop can be found on our website. Christopher Peacock designed the kitchen in this year’s Kips Bay Decorator Show House, located in the Arthur Sachs Mansion in New York’s Lenox Hill neighborhood. A Live Edge Countertop of English Wych Elm custom crafted by Grothouse spills over the center island as a seamless extension of the Silestone marble countertop. 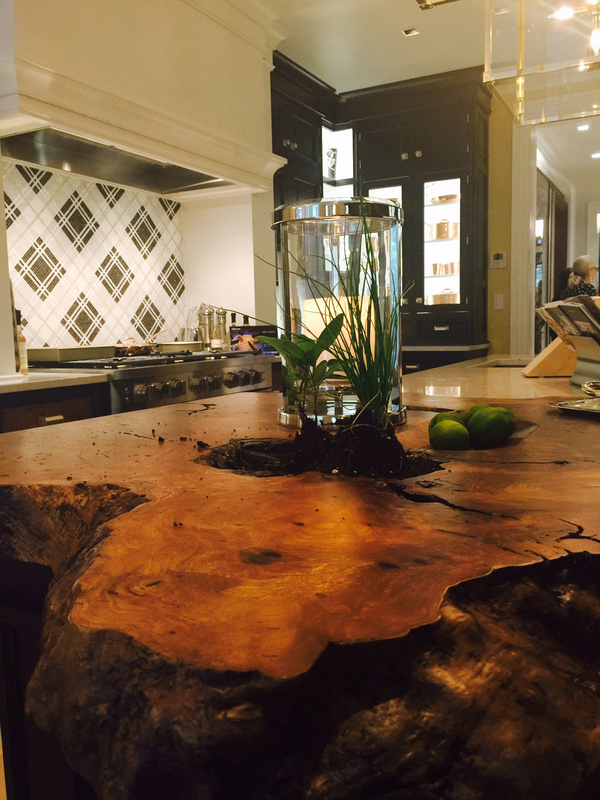 What is a Live Edge Countertop? 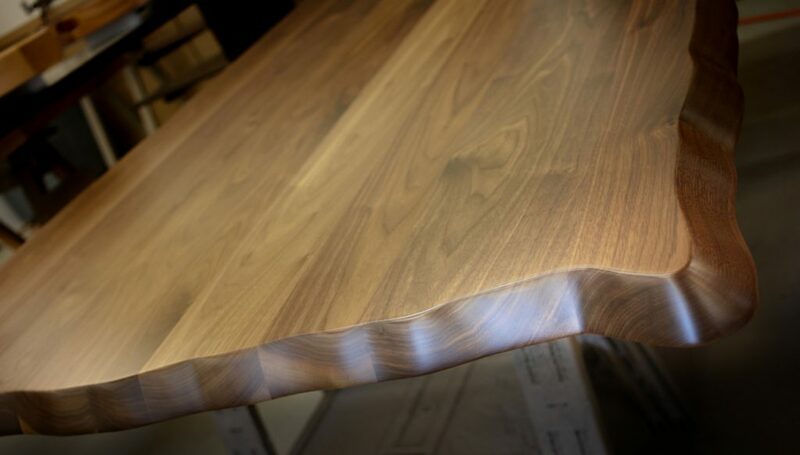 Live Edge Wood Countertops embrace nature with their unique organic shape. Live edge refers to the bark side of a piece of lumber. The edge is not sawn and the natural shape of the tree remains. This style of millwork is treasured by clients wanting to introduce organic elements into their home. Peacock planted an herb garden in one deep crevice of the countertop. In the Kips Bay kitchen, Christopher Peacock did just that. Peacock planted an herb garden in one deep crevice of the Live Edge countertop. “It looks very organic, like it’s growing out of the counter,” said Peacock. The counter adds an organic, yet modern feel to the kitchen. Notorious for white and classic kitchens, Christopher Peacock used the Kips Bay Show House to experiment with color and texture. 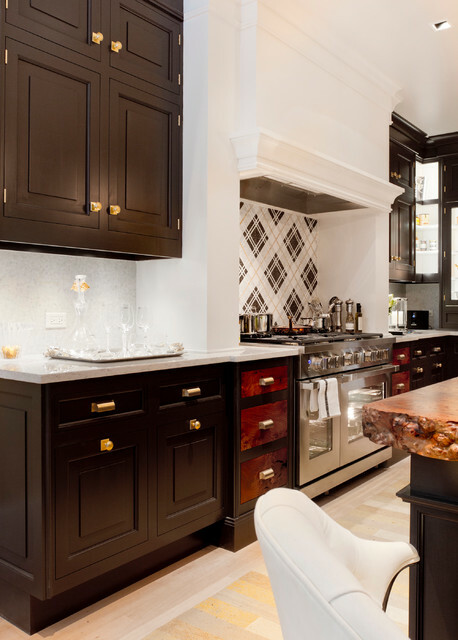 The kitchen features espresso Lambourne cabinetry with hand-picked English Wych Elm accents custom crafted by Grothouse from left over pieces of the Live Edge Counter. English Wych Elm drawer fronts custom crafted from left over pieces of the countertop. 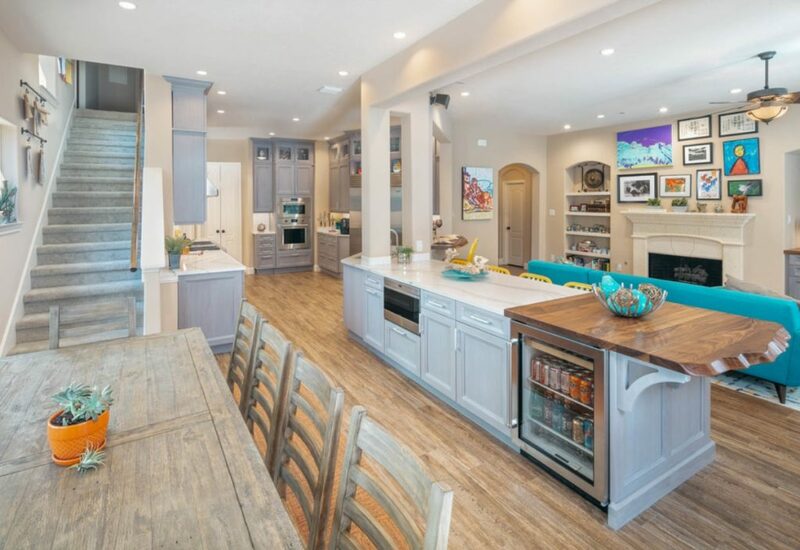 This kitchen has received a colossal amount of attention from media. CBS New York News shared a video covering the house. The video can be seen here. 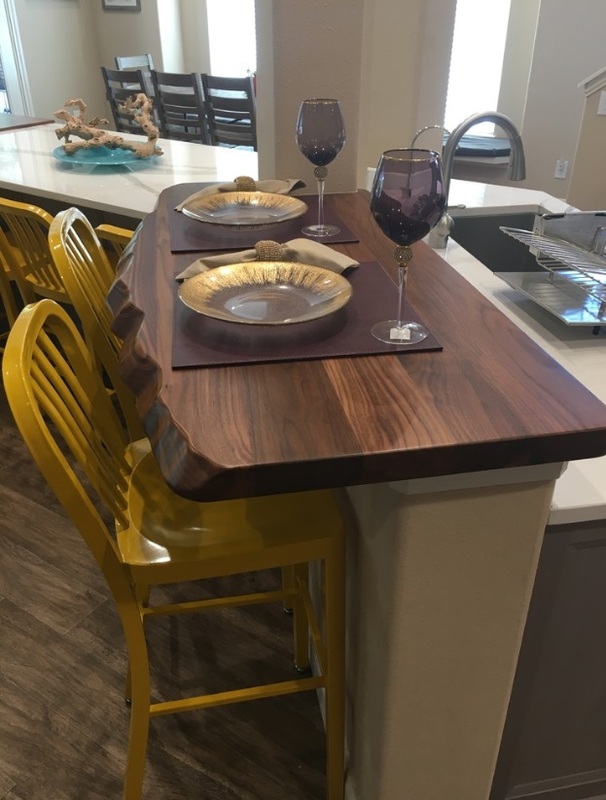 Learn more about Live Edge Countertops on our website and visit our Image Library for more design inspiration!